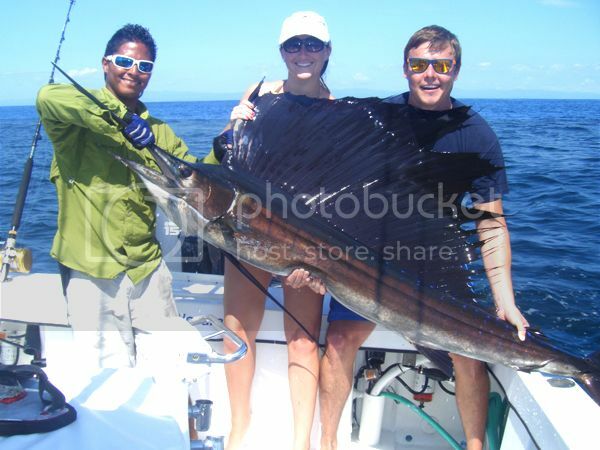 Captain Josh Eldridge and his wife Jennifer are in Nosara celebrating their 6th wedding anniversary, so obviously the perfect way for the IGFA-certified charter captain from Nantucket to celebrate was with some high-powered billfish hunting on the Wanderer. 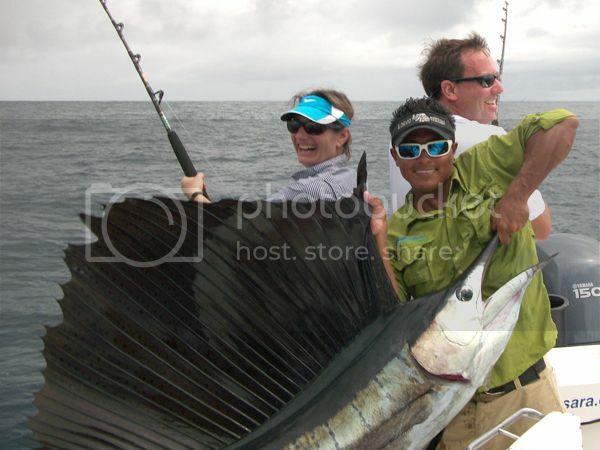 Captain Josh and his wife had a super nice day with five Sailfish releases (including a Double header) backed up by a 30 lbs. 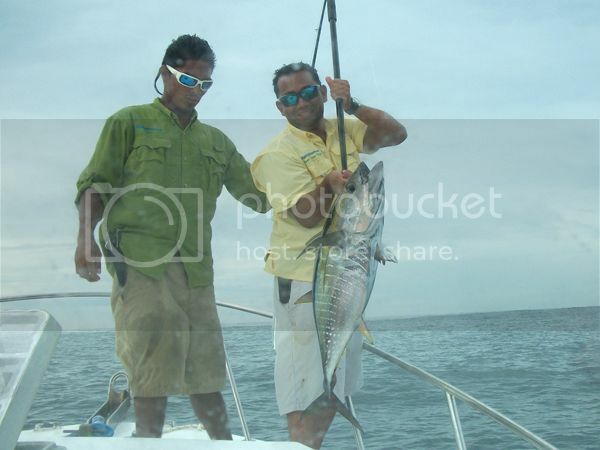 Dorado for the dinner table. It’s all about small adjustments when it comes to big time billfishing. 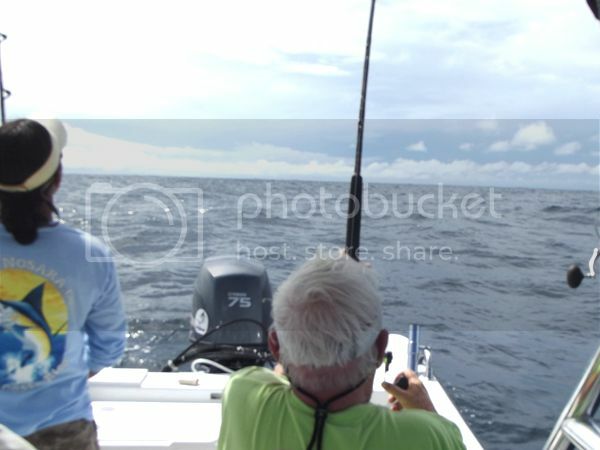 Since the full moon passed yesterday the blue water break has moved offshore, which means the Sailfish bite has moved from 10am to about 1pm. Chuck Darner, Bill Wilderotter, Gary Newman, and Ronnie Dorsett found this to be true when, after a dreadfully slow morning, the beautiful bullets came calling in the afternoon. They released 3 more pacific sails on the Wanderer and displayed the yeoman’s patience required to best such beasts. 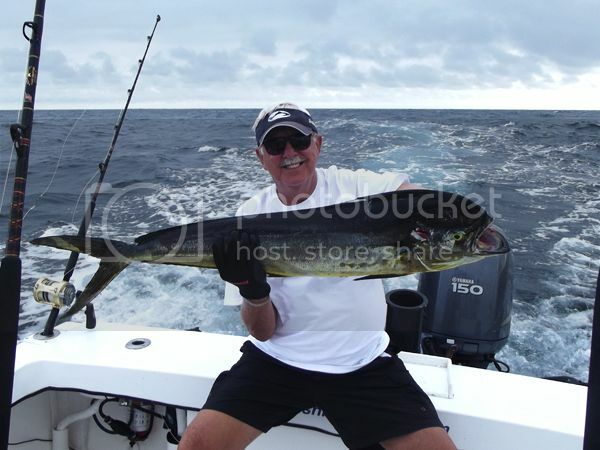 Amazing day for Chuck Darner and his posse on the Wanderer! 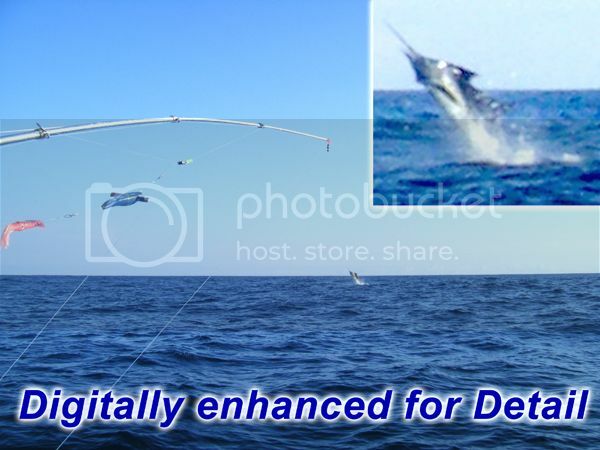 With several Sailfish release under their belts this week, these Jacksonville anglers set their sights on another beautiful billfish release. 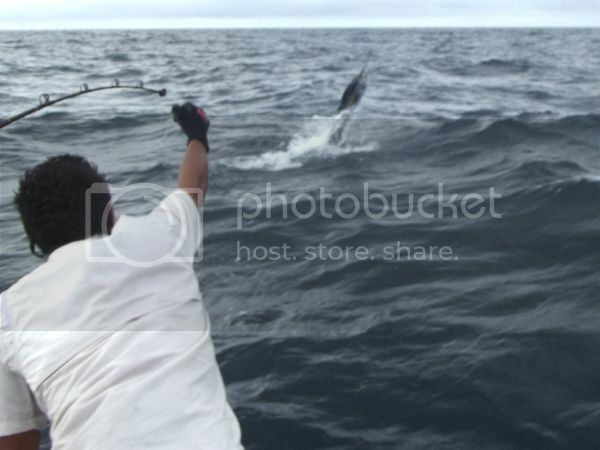 It was Chuck’s turn to do billfish battle this time and his prey put on quite a show for the crews’ cameras. What a fighter! 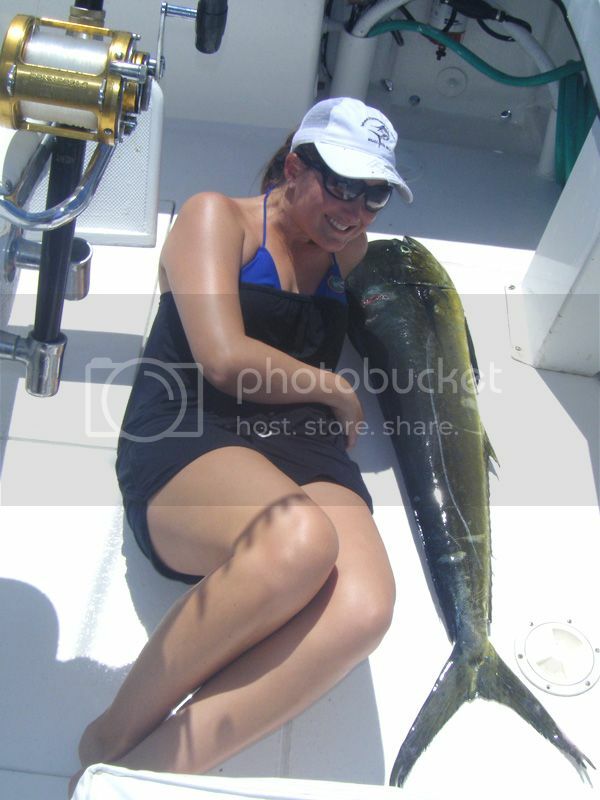 First Mate Alex kept the fish close and the fight was over in less than 20 minutes. With Chuck assisting the Wanderer released this beautiful monster unharmed and unstressed. 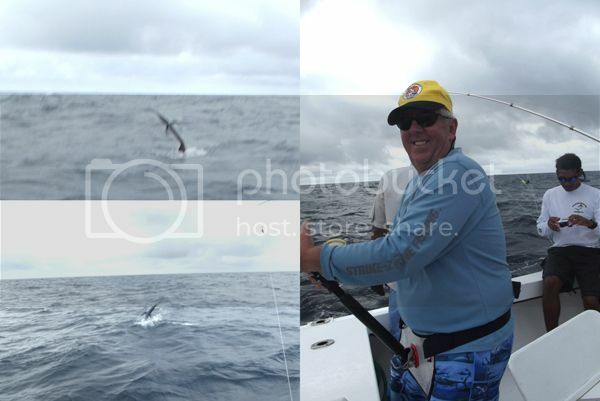 For a victory lap Bill Wilderotter put yet another tasty green Dorado into the fishbox. 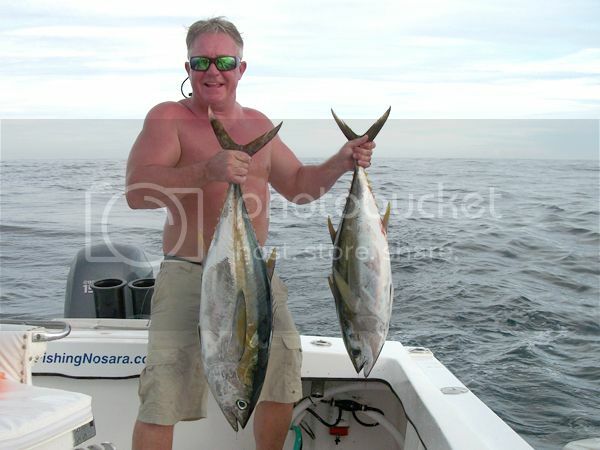 Excellent results from the Jacksonville anglers and the Wanderer. Chuck Powell and Chris Landis were back on the Wanderer for another great day of fishing. 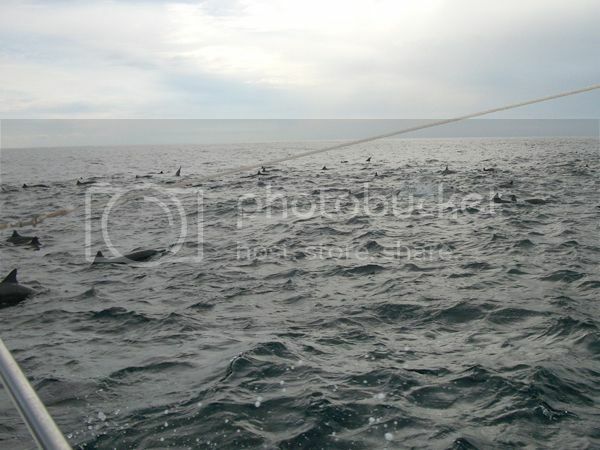 Captain William put the boys on a school of spinning dolphins and everyone knows that when dolphins are feeding the billfish are not far behind. 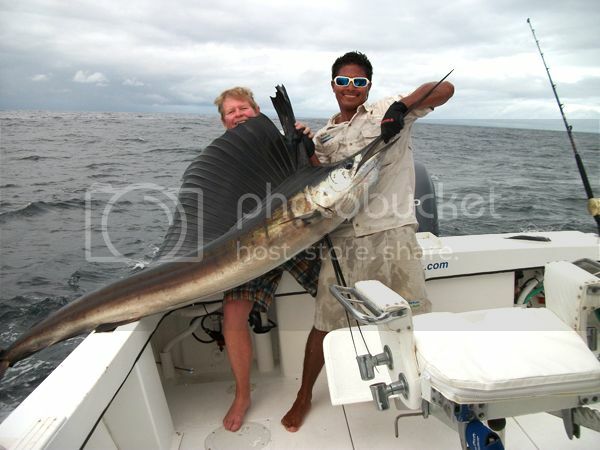 This excellent Sailfish was released by Chuck and was the highlight of the day. 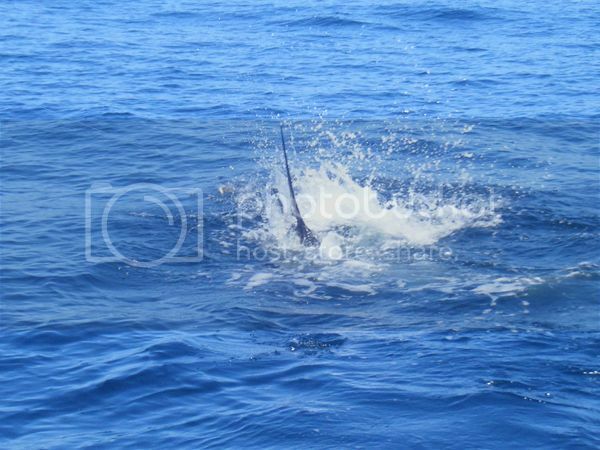 There was other action but no solid hook-ups; still this keeps our sailfish-a-day streak alive and we are looking forward to even more billfish in the near future. 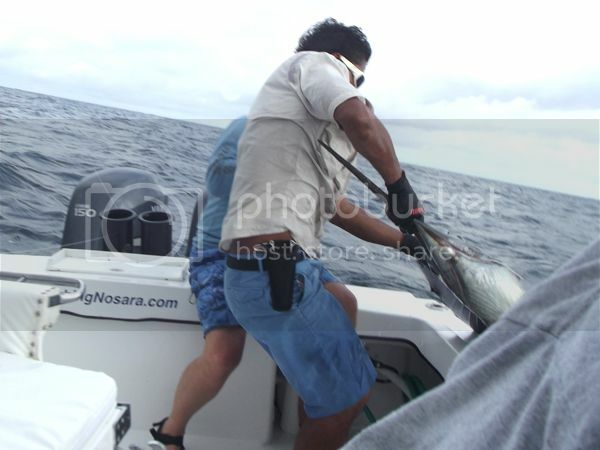 Another safe release by First Mate Alex! 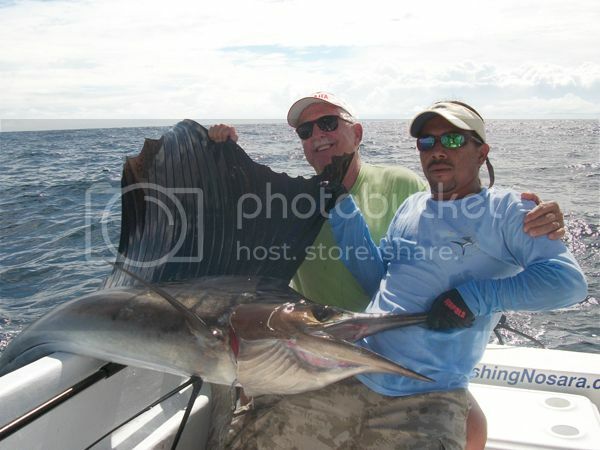 Great work all-around by mates, anglers and Captain William. 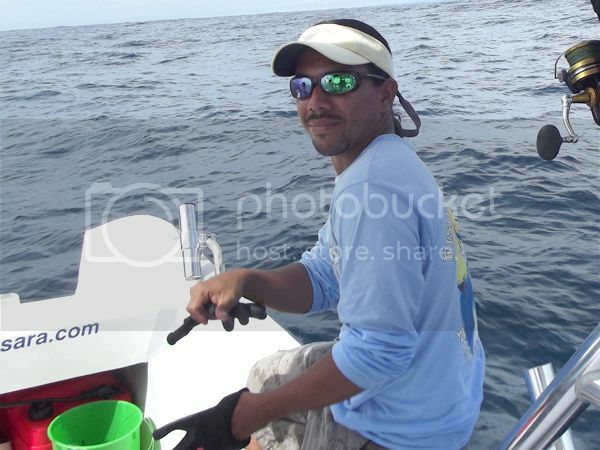 After a week serving as the spotter mate on the Wanderer, Captain David was back on the barroom brawler on November 15. 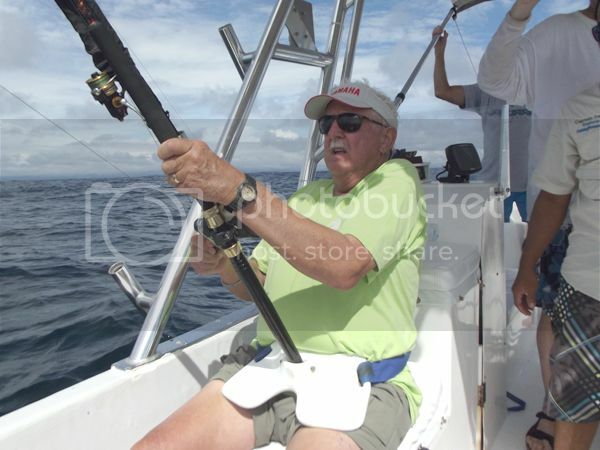 FishingNosara Hall of Fame alums Chuck Darner, Bill Wilderotter, Ronnie Dorsett and Jerry Newman were back in Nosara with aspirations of more legendary fishing. 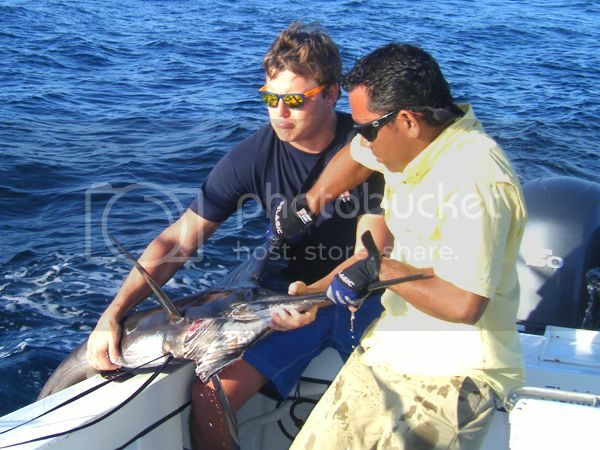 They joined Captain David on the Explorer for a great half-day of action along with newly-minted FishingNosara team member Carlos. 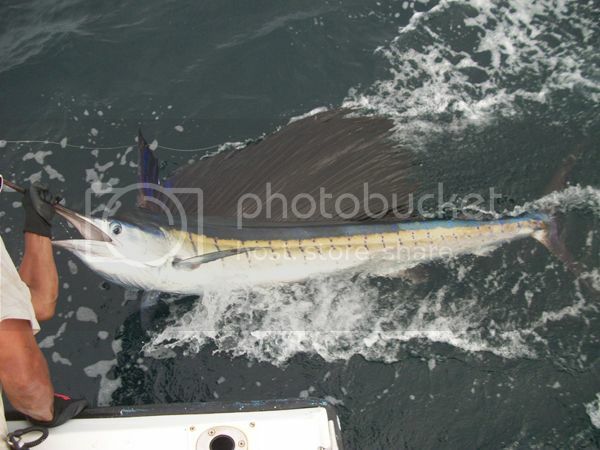 There have been so many great performances from Jacksonville, FL fishermen down here in Costa Rica that the fish let out a groan when they see anglers wearing the logos of the Jacksonville Offshore Sportfishing Club and Greater Jacksonville Kingfish Tournament…the fish know that it’s about to be a long day. 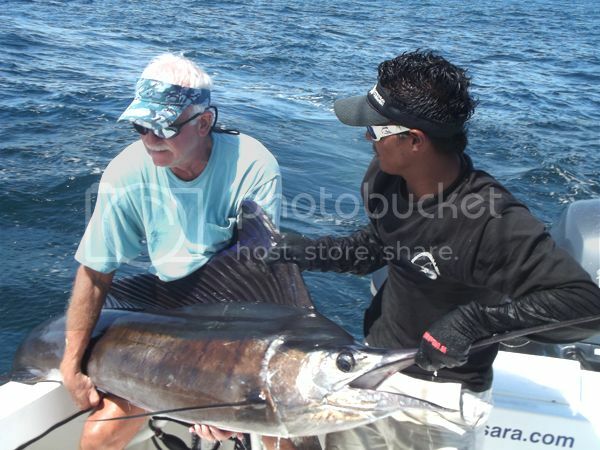 Bill Wilderotter released a nice Sailfish and just missed on another one. 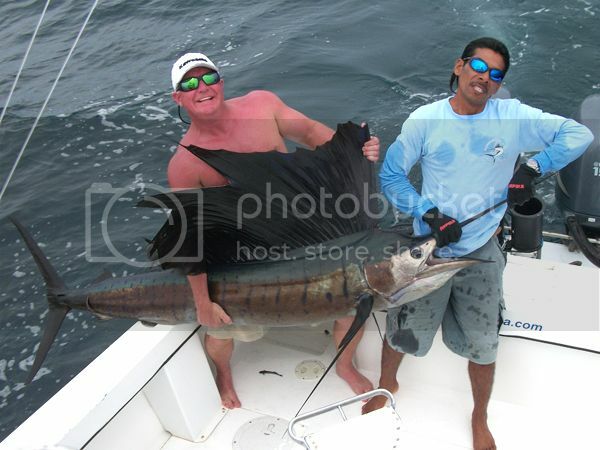 For the dinner table Chuck Darner boated a big green 40lbs. 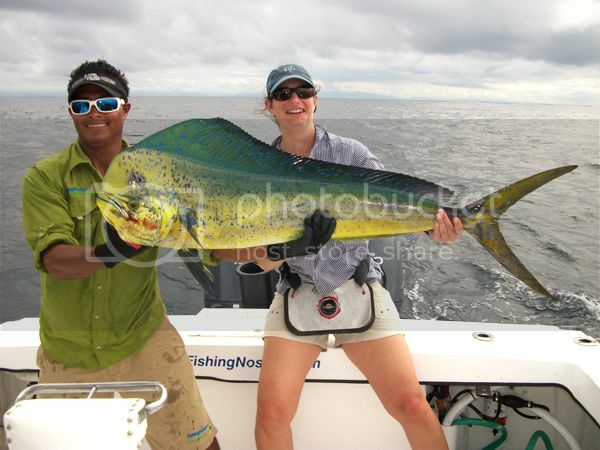 Dorado; excellent catch considering that the boys were just at the beginning of their week in Costa Rica…no need to hit the fish market! Unwilling to give the fish any mercy, Chris Landis and Chuck Powell booked and additional day on the Wanderer on Sunday and turned in a performance that tops both of their previous days. 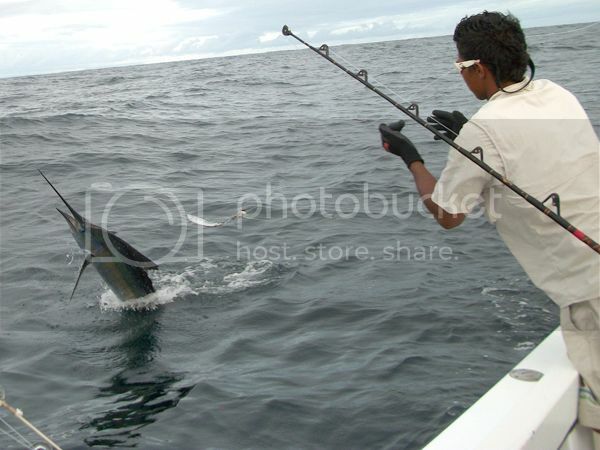 Once again they had two Sailfish come up about 9am, then more in the afternoon. 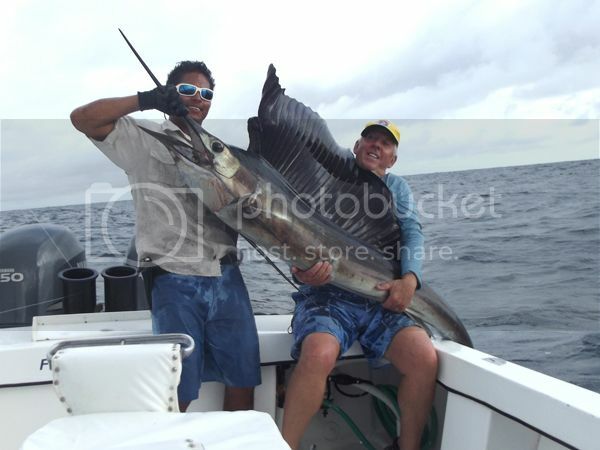 These anglers really have the Sailfish figured out as they added two more excellent releases to their scorecard. 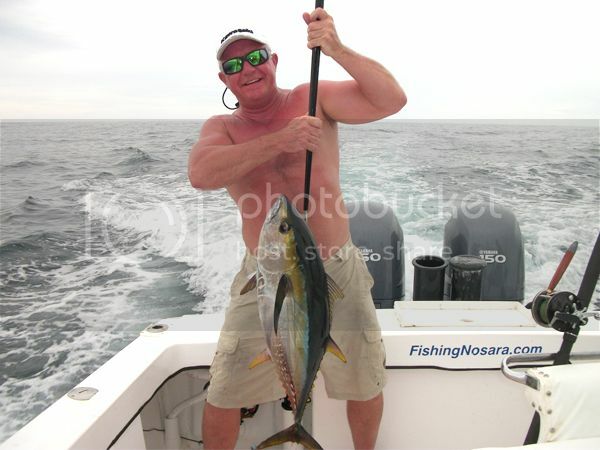 Captain William found a school of dolphins and Chris started whacking them on a top water casted ‘El Popper’. 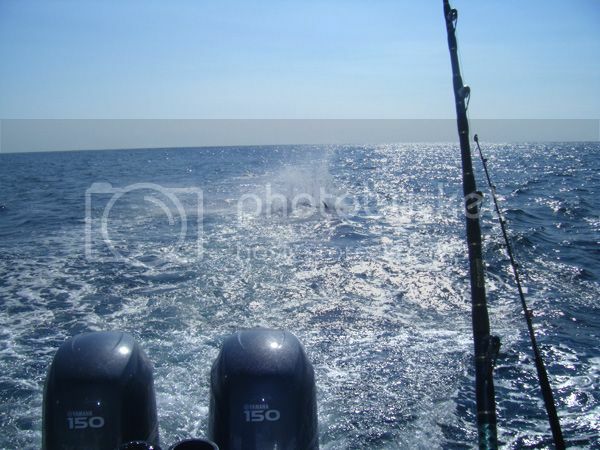 Once the bite cooled off the boys deployed the trusty cedar plug to finish off the school of Yellowfin Tuna. By the end of the day they had boated 15 Yella Fellas. Excellent haul by Chuck Powell, Chris Landis, and the mighty Wanderer. 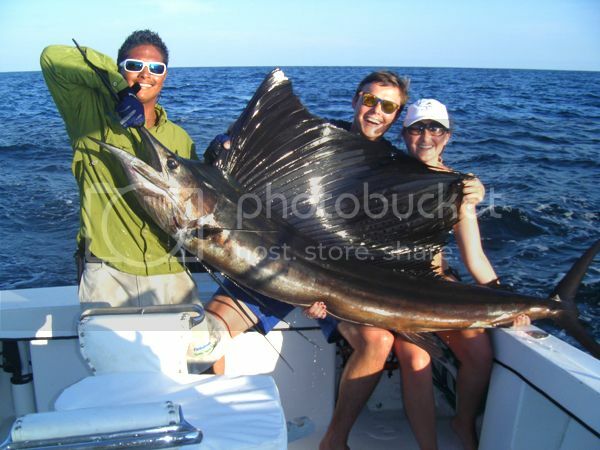 Jennifer and Adam Mott got the season started right with a pair of Sailfish releases on November 5. 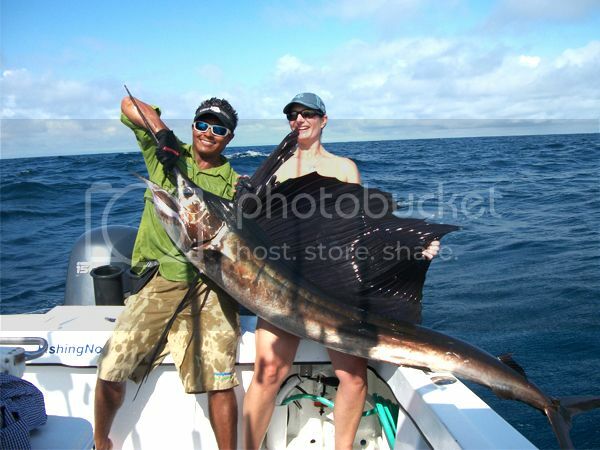 However they really flexed their angling muscles on the local billfish population today. Captain William didn’t have to take the Wanderer very far to find the clean blue water and the Sailfish with hungry like wolves when First Mate Alex and Captain David (on loan from the Explorer) put out the spread. The first bill came shopping right down the exhaust alley and Mrs. Mott was all over this fish. 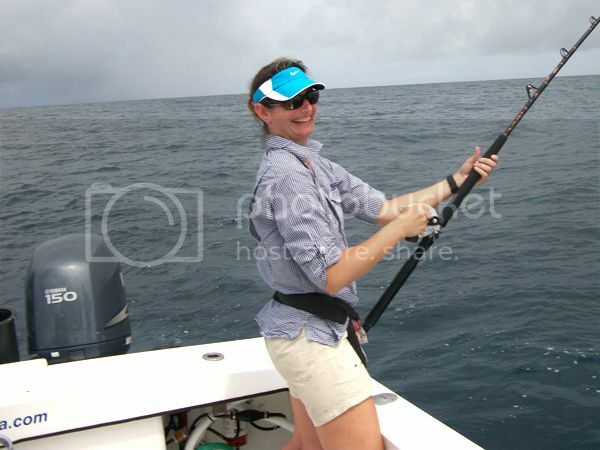 With Captain William assisting on the stand-up fight, Jennifer released the first Sailfish of the day. 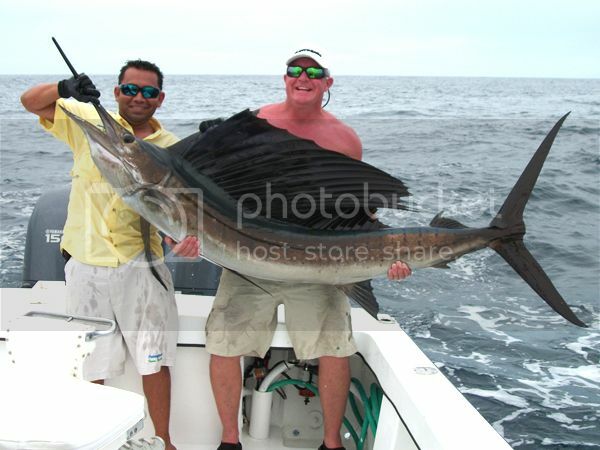 The Sailfish were thick as thieves and Adam Mott was ready to lay down the law. The next monster came barrel-rolling through the spread but was no match for Mr. Mott on the reel. 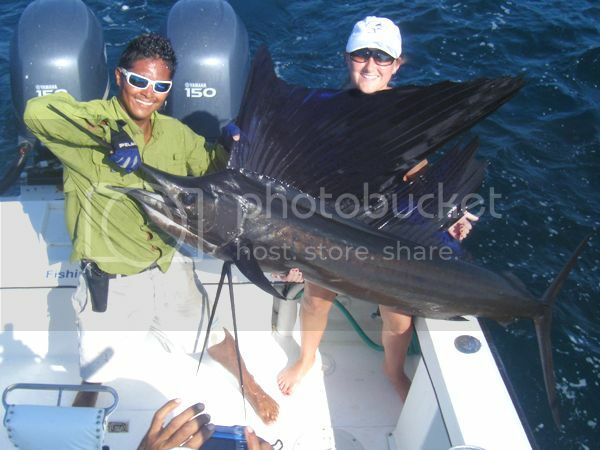 Adam and Jennifer weren’t stopping at two releases this time; they stayed on the fish and had two additional Sailfish releases. 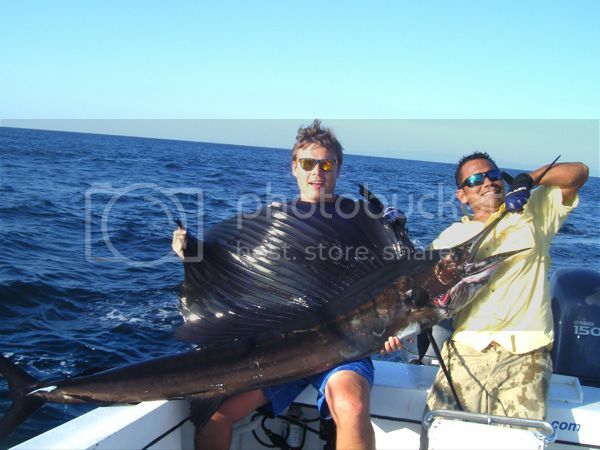 This brought their scorecard for the week up to six successful Sailfish releases. 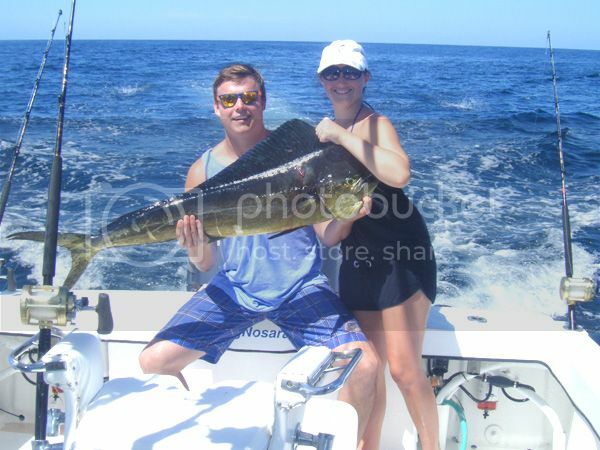 Great work from the Bradenton, FL based husband and wife fishing team! 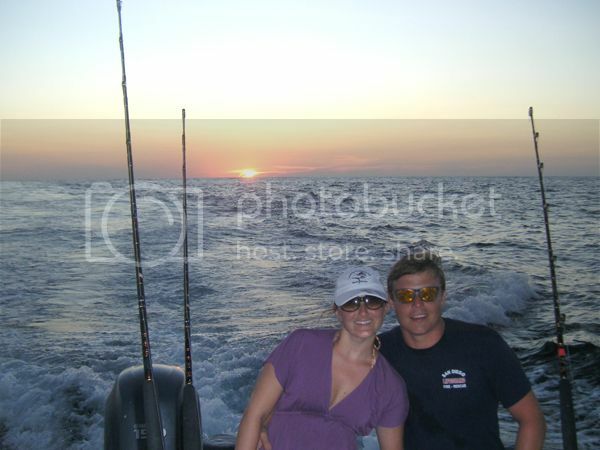 Adam and Jennifer Mott booked the Wanderer today for a hunting trip out to the blue water. 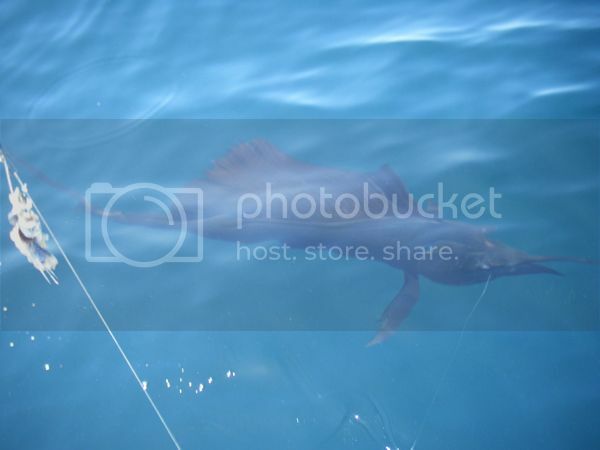 The big blue beauty fared well on her first fishing trip of the new season, scoring on a beautiful 30lbs. 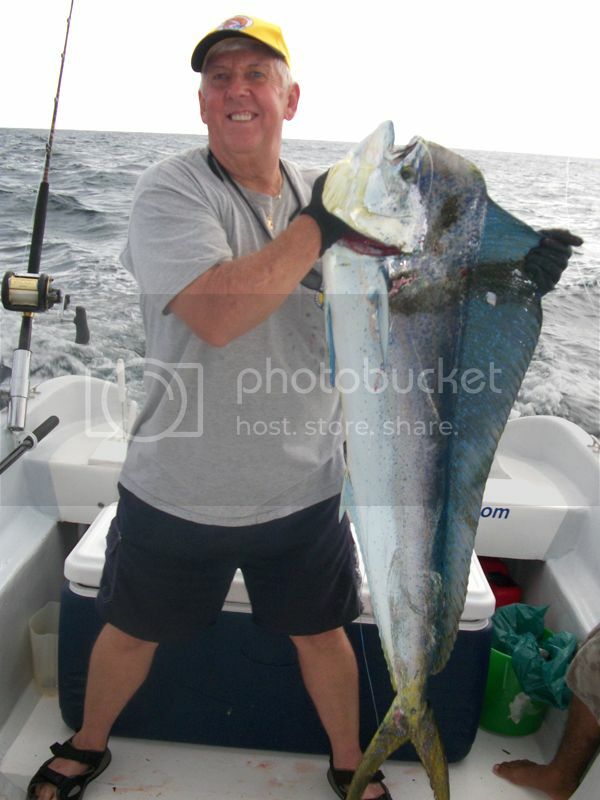 Dorado for the dinner table. 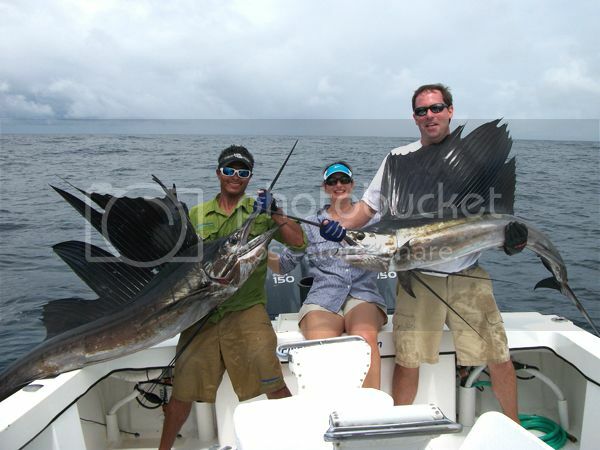 The afternoon brought smoking billfish action with a pair of Sailfish releases for the husband and wife angling team. 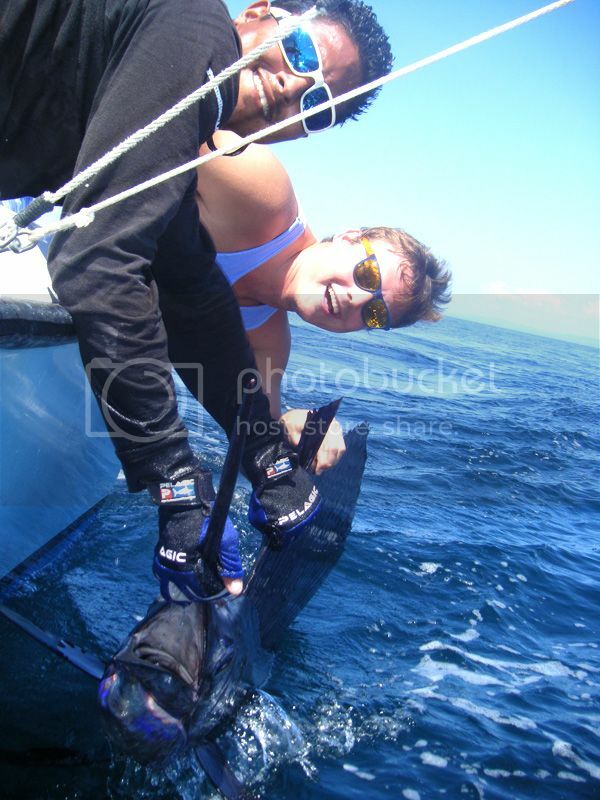 Great releases by First Mate Alex ensuring the safe survival of the Sailfish. 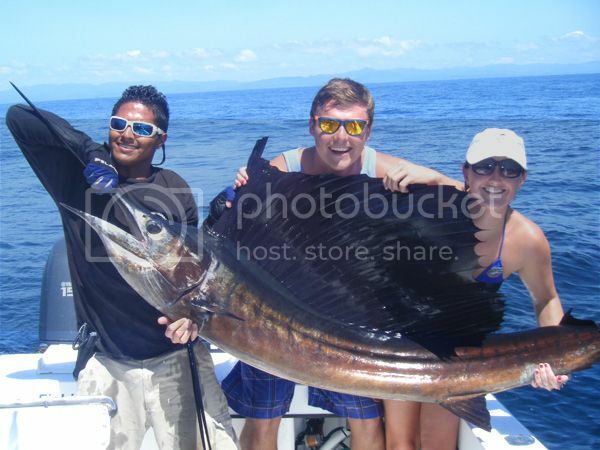 Captain William will be welcoming Adam and Jennifer on November 8 and we are anticipating more great fishing from FishingNosara flagship the Wanderer!